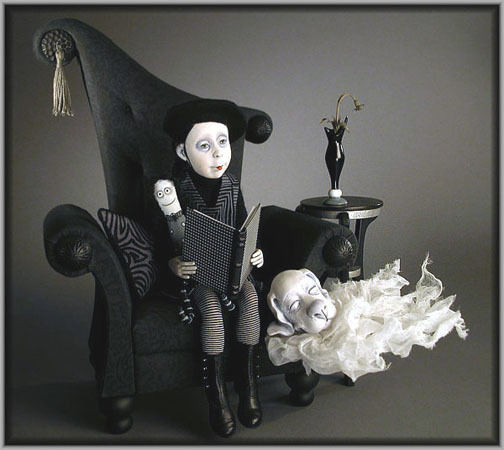 Creager Studios - "Emperor and the Nightingale"
Dahlia Darkling and one of her favorite Pastimes...reading Stories to her bestest friends Cybil and Scruff. One of a kind, hand sculpted in Quality Polymer Clay and hand tinted. All artwork and images displayed in this website are protected by &COPY; Copyright 1998-2007 Jodi & Richard Creager. All rights reserved. All Photography by Richard Creager.